Come experience the renaissance of downtown Napa while gliding on a stand up paddle board! You'll feel like an explorer rowing among the reed-lined shores and the tidal-marsh abundant with waterfowl. See all the beautiful sites of Downtown Napa, known fondly as California wine country. 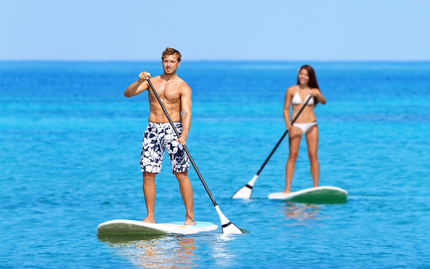 Because this is a self-guided tour, you'll be able to paddle wherever you'd like at your own pace. Marvel at the sweeping views of Napa Valley -- this is the side of Napa you won't get to know if you're only going to vineyards at wineries! 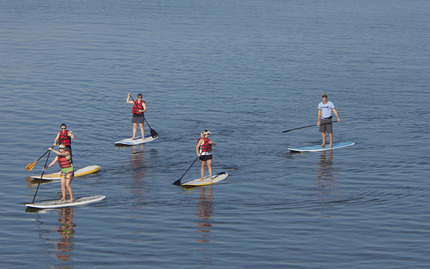 Note: A stand-up paddleboard and paddle, introductory lesson, and shuttle Service back to your car/meeting location from down-river will be provided.